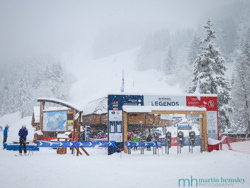 Hi everybody, and welcome back to your favourite ski instructor's blog from Meribel. Last time I wrote about the 'FIS Code Of Conduct' on the mountain, ie the skiers' highway code, click here for the link. 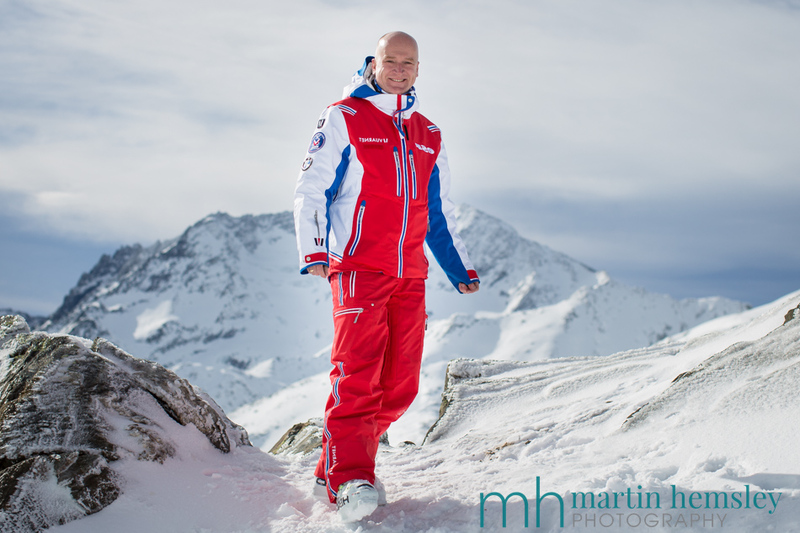 This time I thought I'd give you some ski instructing top tips with a difference, no mention of improving technique! 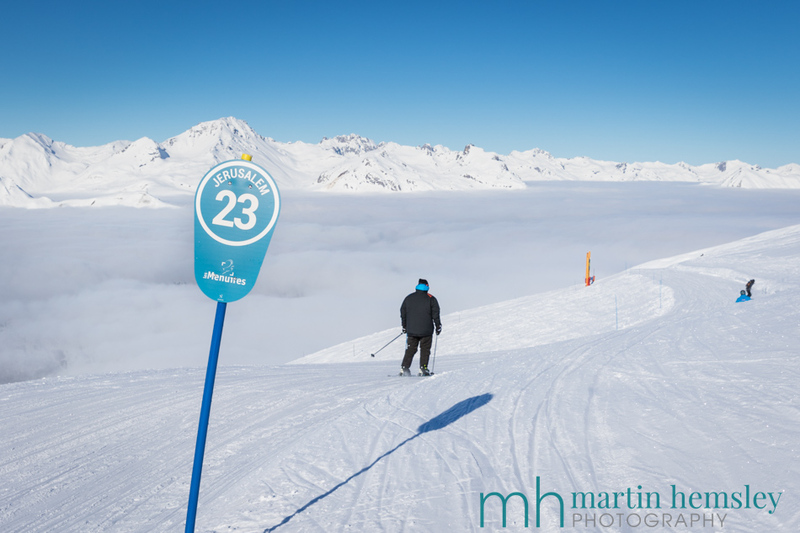 Have you spotted that the lollipop piste markers in France have numbers on them, as well as the name of the piste? In some alpine countries, numbered piste markers tell you the 'name' of the piste, ie piste number 10. Here in France, the numbers are a countdown to the end of the piste. In the photo above, this lollipop marker tells you that you still have a decent descent left down on the Jerusalem piste, with twenty two more lollipop markers to go. If you are unfamiliar with the ski area, and there is poor visibility, this can be a particularly useful piece of knowledge. I recently had a day skiing over in La Plagne where you could't see beyond your ski tips at times, so I found using these markers very useful. 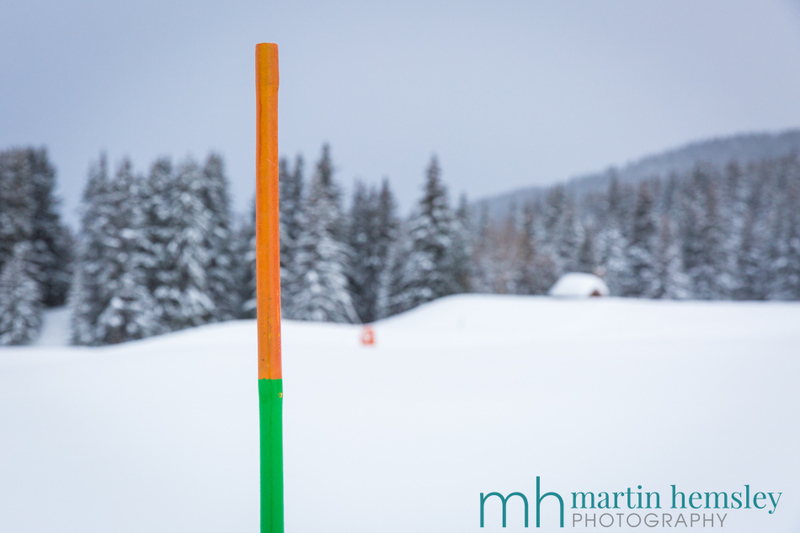 Speaking of piste poles, did you know that all piste markers on the right hand side, irrespective of the colour of the piste, have an orange tip? This means that if the visibility is poor, and you feel a little unsettled as to where you are, make sure that you keep the orange tipped piste markers to your right hand side. If you see any on your left hand side, then be careful because you will be off to the side of the piste! In the highly unlikely event that you take a tumble on the piste where both of your skis release, there can be an easy way to get back into them. Put the downhill ski on first, you wouldn't believe how many times I see people put their uphill ski on first, and then wonder why it's impossible to put on the downhill ski without it slipping away from the boot. However, try the following to make it even easier, especially if you are on a steep piste. 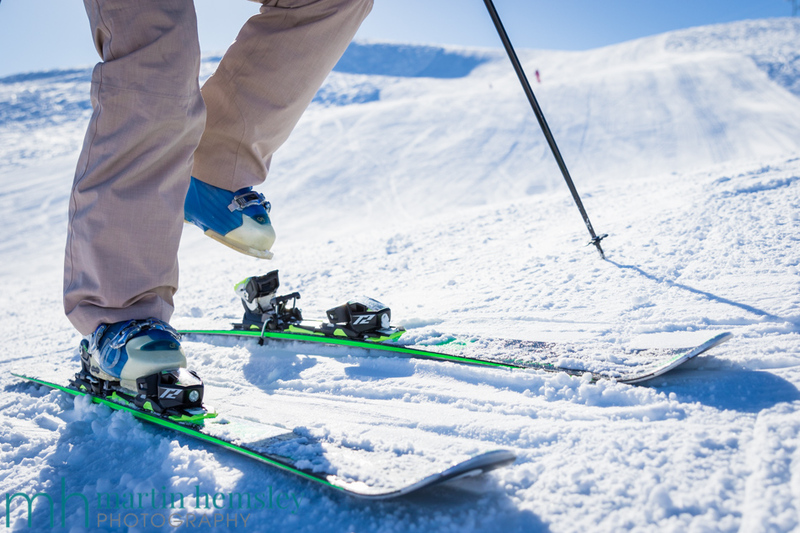 Stand below both of your skis, then cross over your downhill ski boot to put on the downhill ski first (see photo above). It is a much more secure and balanced way of putting on your skis. Then you can safely stand on your downhill ski before clipping into the other ski. This may sound complicated in theory, but give it a go next time you put your skis on. Don't worry, you don't have to be as flexible as a ten year gymnast. Les 3 Vallées Addict app. Most people these days have a smart phone, right? And aren't there a huge number of apps available? 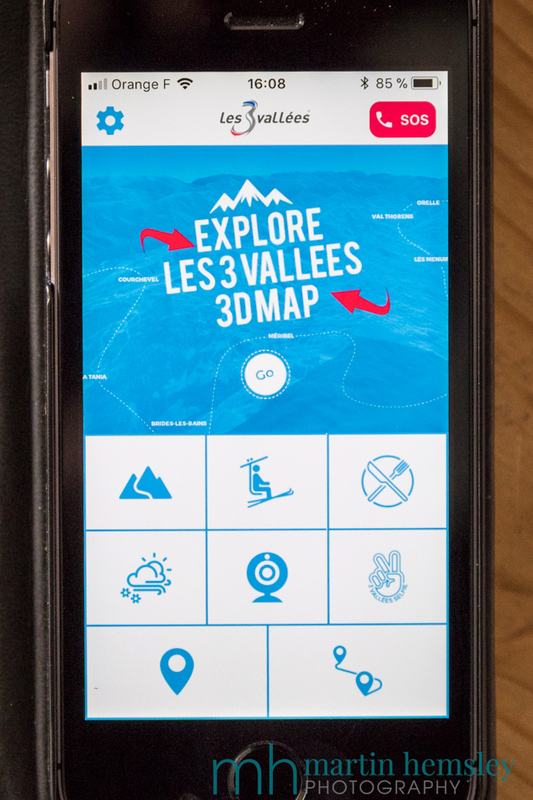 If you are coming out to Méribel, or any of the other resorts that are part of the 3 Valleys, why not download 'Les 3 Vallées Addict' app before arriving in resort. It's got tons of useful information, for example ski lift status. If there are delays in opening times due to high wind, or avalanche risk, it keeps you up to date. The app also lists every piste on the piste map, and tells you if it is open or not, and likewise if it has been groomed overnight. 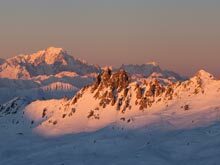 You can also find the weather forecast, view several webcams, and check out a large list of mountain restaurants with descriptions, location via which piste, website listing and contact details. Another nice touch is an 'SOS' button that you can press to quickly find phone numbers for pisteurs in each valley for any emergency. There's also a funky 3D piste map available. I've got to be honest and say that I can't get my head round using it, but some people claim to like it. If you wear brightly coloured ski jackets or ski pants, this might be of interest to you. Sometimes during or after snowfall (let's hope not rain), dirt and oil can fall from ski lifts. If you are sat on a chairlift, and you start getting dripped on from above with the dreaded oil, don't panic too much. As soon as you get to the top of the lift, move safely to the side, and grab some snow (whilst still wearing your gloves) and quickly rub it over the affected areas. Granted, snow doesn't clean as well as Persil Non-Bio, but it gives you a fighting chance to avoid damaging your precious Bognor outfit. It's amazing how you can reduce this risk. Fingers crossed, you will never need to give this a go. A pristine jacket and pants without oil stains, worn by yours truly! 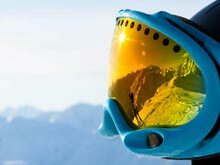 So there you go, I hope you found these (non ski technique) top tips useful and fun. 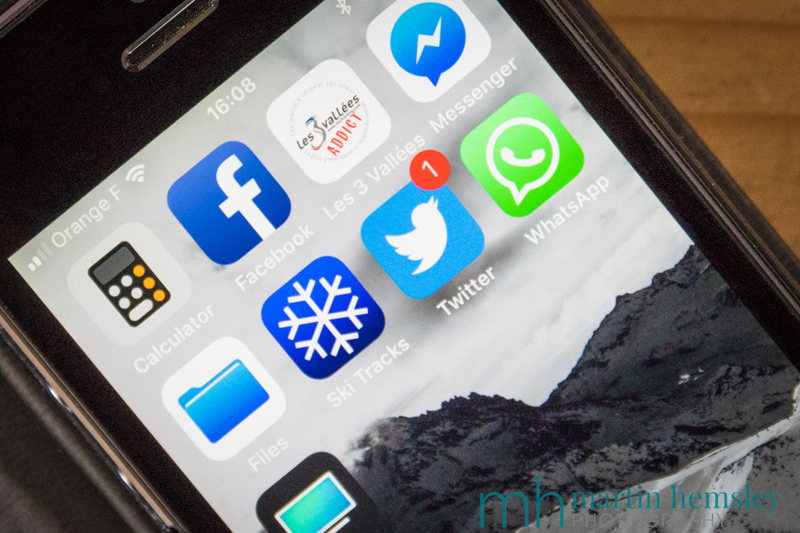 Feel free to share away on social media using the buttons at the top of this page. 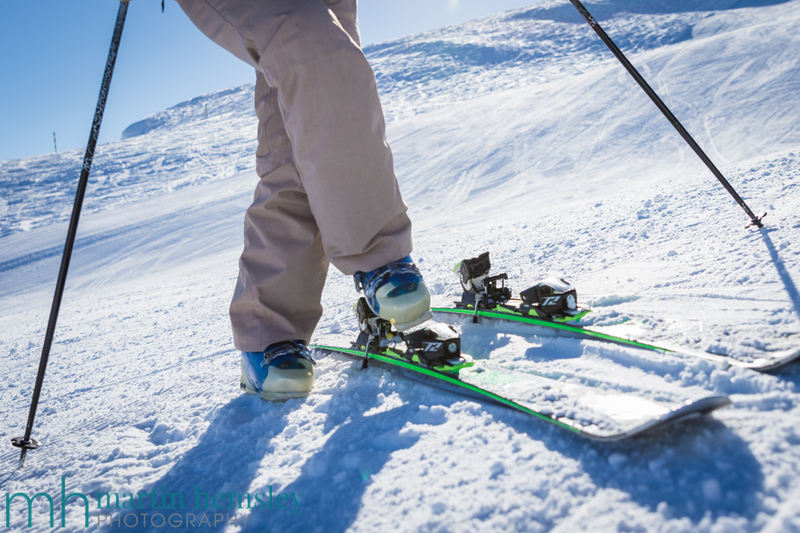 If you are new to this blog page, and would like to read something more ski technique related, click here for a link to an article I wrote a couple of months ago titled 'Skiing With Style'. Come back soon everyone for another article, and Live With Passion. Martin.